Radon is a naturally occurring colorless and odorless gas that results from the decay of uranium deep underground. Radon moves up through the bedrock, then into the soil, then up from the soil into the atmosphere. When radon comes up into the air outside it is perfectly harmless. When radon comes up into your basement and into your house is when it can become a problem. The good news is that, if you have a high radon level in your house, there are things you can do to reduce the radon level in your home. The first step is to have your home tested for radon. The Monongalia County Health Department now has staff certified by the National Radon Safety Board (NRSB) that can do radon testing and provide education about radon mitigation. A sanitarian will come to your house and place the radon monitor in the lowest livable area of your house. Once the monitor is activated it will run for 48 hours and then turn off automatically. After testing is complete the sanitarian will come and pick up the monitor. The data is then downloaded from the monitor and a report is created. The report is then available for the home owner by mail, email, or pickup at the Health Department. 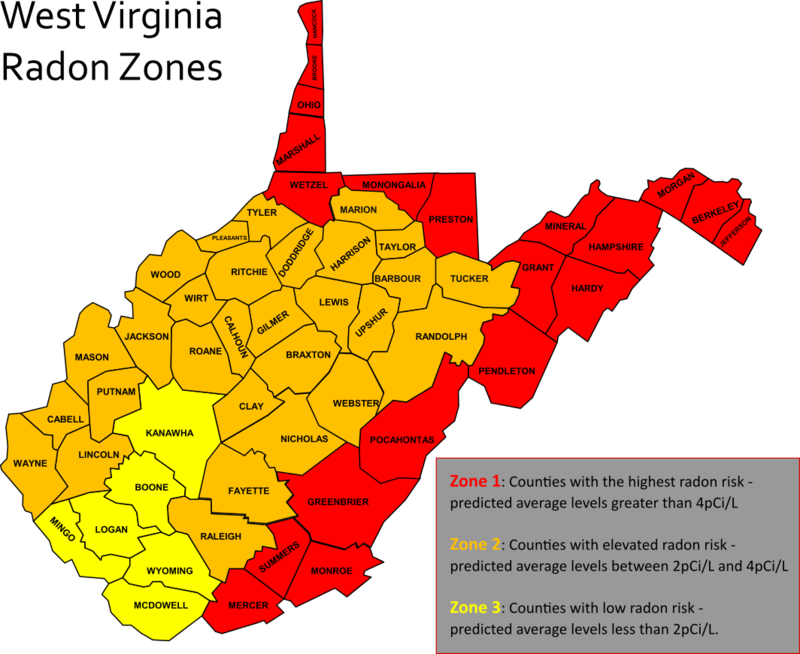 Call 304-598-5131 or use the Contact Us form to schedule a radon test. Radon Zones are a general guide. We recommend that everyone have their home tested for radon, even if you live in a 'low risk' zone.